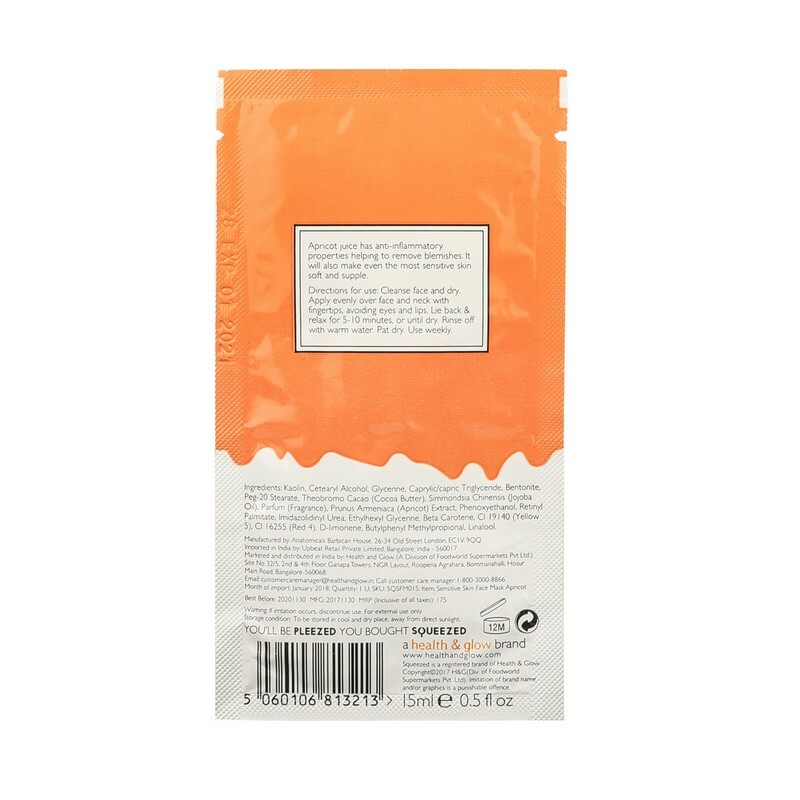 A face mask sheet that hydrates and refreshes skin. 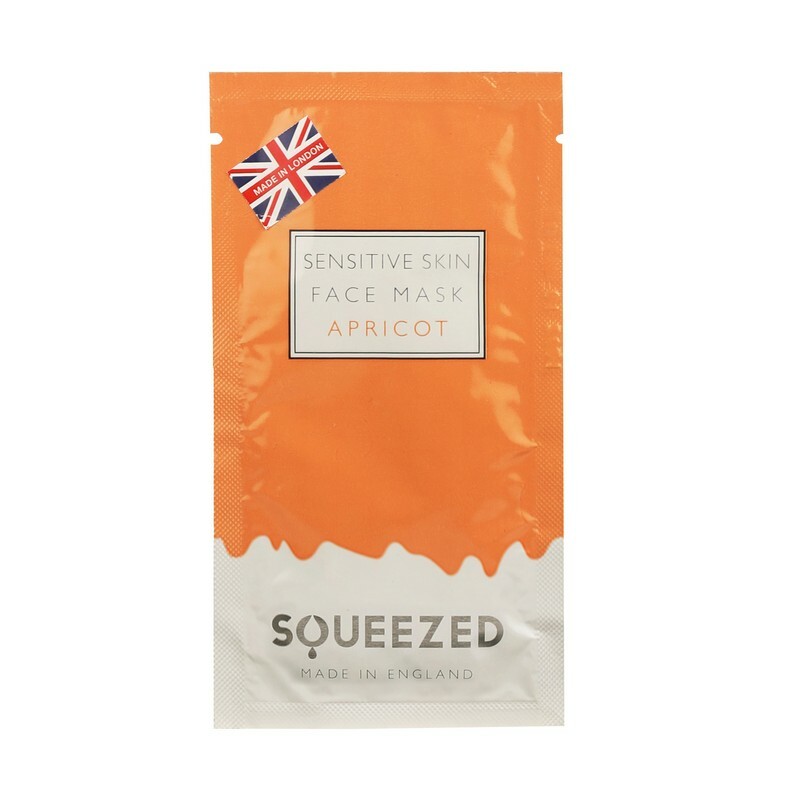 Enriched with the goodness of apricot juice, this face mask moisturises sensitive skin and leaves it feeling refreshed. Kaolin, Cetearyl Alcohol, Glycrine, Capric/ Caprylic, Tryglyceride, Bentonite, PEG-20 Stearate, Theobromo Cacao(Coca butter), Simmondsia Chinensis(jojoba oil), Parfum(fragnance), Prunus Armeniaca (Apricot) extract, Phenoxyethanol, Retinyl Palmitate, Imidazolidinyl Urea, Ethylhexyl Glycerine, Beta Carotene, Cl I9I40 (Yellow 5), Cl I6255(Red 4), D-Limonene, Butylphenyl Methylpropional, Linalool.